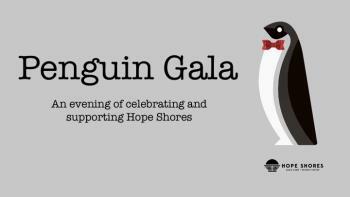 The Penguin Gala is an event that celebrates and supports the camping ministry of Hope Shores Bible Camp + Retreat Center. The evening will include a social hour with silent auction, dinner, testimonies, Hall of Faith inductions, and a live auction! It is a semi-formal event; childcare and snacks will be provided for children 10 and under. * Please join us for a fun and meaningful evening to bless and support Hope Shores!